This short film celebrates the tough, wild and remarkable life of Glen Ochre; a visionary, educator and leader. Filmed over the year before and after her death from pancreatic cancer, filmmaker Helen Iles captures interviews with Glen, significant people who shared her life and vision and others whose lives have changed irrevocably from their connection and experience of Glen’s charismatic wisdom and love. 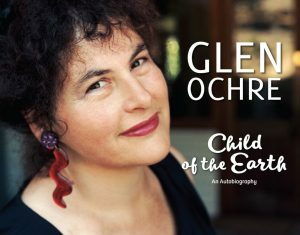 Complementary to Glen’s book, Child of the Earth: An Autobiography, the DVD allows us the privilege of hearing Glen share her thoughts at such a poignant time. We hear reflections on her approach to being and working with people, her past, her dream and reality of Commonground intentional community and establishment of the Groupwork Institute, her mob and her connection to Mother Earth. Raised deep in the bush of central NSW, Glen was inspired by the systems of collaboration in the natural world. As she forged her own path in life Glen encountered many setbacks, but from Mother Earth she drew the strength to act with love. She touched many people in her 69 years. Glen’s footprints and fingerprints are indelibly stamped on her wider community, who carry her work far and wide. May it inspire us to be bold in the service of Mother Earth.